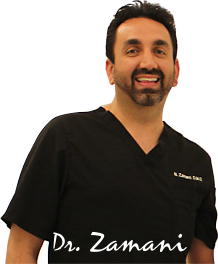 Dr. Zamani provides a large array of restorative dental work. Patients find comfort in knowing that Dr. Zamani does not use silver/amalgam fillings as a restorative material. All tooth colored fillings are composites made from non toxic materials such as cheap metals. Composite dental fillings have been around for years; and as the material has advanced in it’s quality over the past few years, it has been recommended as an alternative material vs. silver/amalgam fillings. Composites come in a variety of shades to match the color of the natural teeth and generally exhibit good support and adaptability to the tooth structure. They are placed inside the tooth just like a pack-able filling and a special light is used to make the filling hard. Once the filling is hard using the special light, the patients can chew and function on the tooth. For teeth that have larger filling areas and/or cracks a material called an Inlay/Onlay may be suggested. Inlay/Onlays are lab made compressed porcelain materials used to fill in the area of the cavity/crack. Inlays/Onlays are very strong and exhibit excellent cosmetic and support characteristics. A process called bonding is required to adapt the Inlay/Onlay to the tooth structure and secure a proper fit. Dent-ALL by Dr. Z is a holistic biological dentistry that uses cutting-edge dental techniques and the finest dental products in its state of the art dental facility. 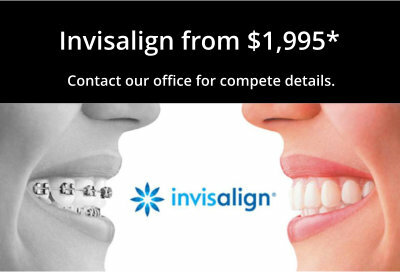 Call us at 818.788.7711 to schedule an appointment.